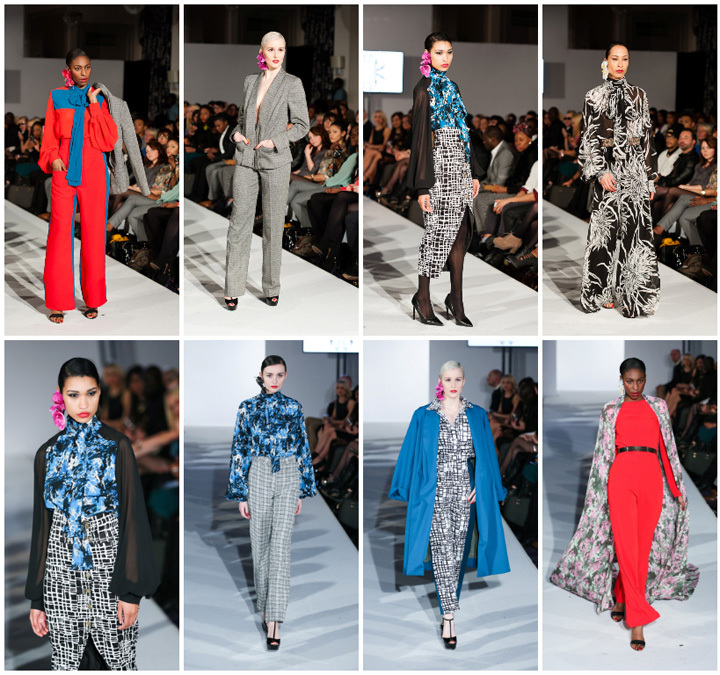 Nassau, Bahamas - Bahamian designer Theodore Elyett’s Orchidnized Chaos collection stole the show at the Fashions Finest Emerging Designer Showcase held during London Fashion Week. 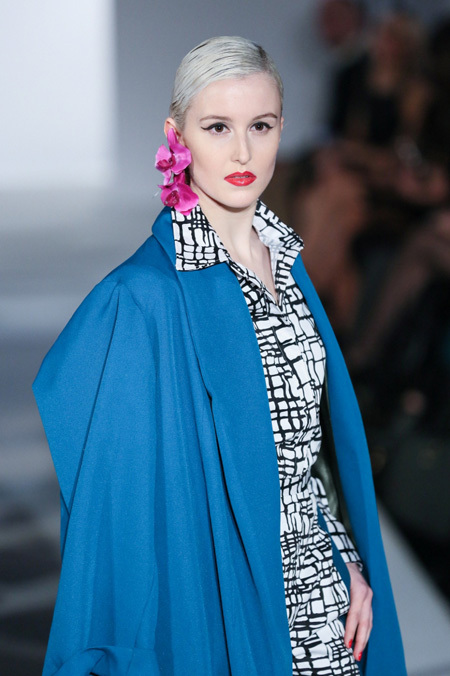 “The opportunity to showcase during London Fashion Week was a step in the right direction for my brand,” stated Elyett. “This was the first time my designs were shown on a European catwalk and I'm ecstatic with the feedback I received from UK press and show attendees. “Theodore stole the show like it was a breeze. I can't tell you how proud I am of him. He is going places, he's got the talent and the 'it factor' he just needs some big investors for the next big step,” stated Keneea Linton-George, Mission Catwalk Executive Producer. The Orchidnized Chaos collection features a vivid colour palette inspired by the Yuroba Egungun masquerade. Bright cobalt, aurora and crimson red as well as mauve mist dominate the collection, while a hint of cypress and Pantone's color of year, radiant orchid are peppered in. 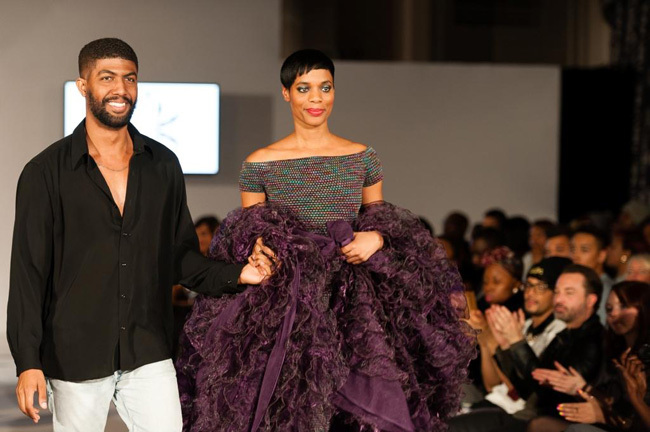 Bahamian designer, Theodore Elyett with model on the runway at London Fashion Week. Strengthening the Theodore Elyett brand identity and re-inventing signature TE silhouettes such as the palazzo pant were at the forefront of Elyett’s mind during the design process. The collection is an expertly curated reflection of the dichotomy of the orchid - delicate and structured. 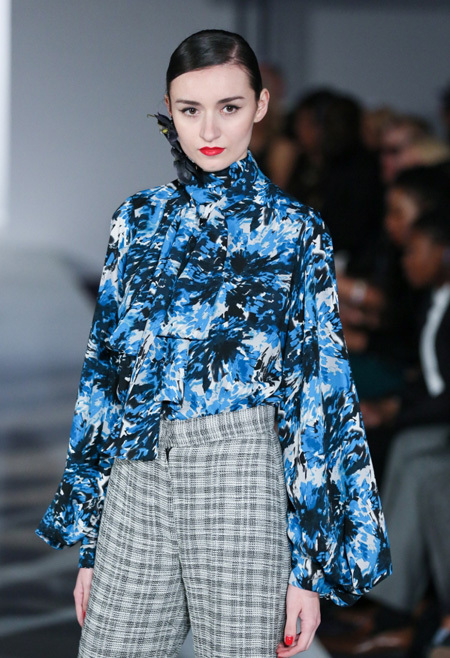 The juxtaposition of patterns, prints, colours and textures makes the collection’s title, a play on organized chaos, fitting. Elyett plans to retail the line at select boutiques in The Bahamas and Jamaica.